We don't need no stinkin' policy! An article over at PR News gives excellent advice about clarifying social media rules—except for one point: calling those rules of conduct a "policy." In my experience, most workplaces have enough rules around employee conduct. Existing policies need only to be contextualized for social media. So, yes, as the article outlines: avoid jargon, give concrete examples, and structure the information to be understandable to all your employees; but don't make a new policy. 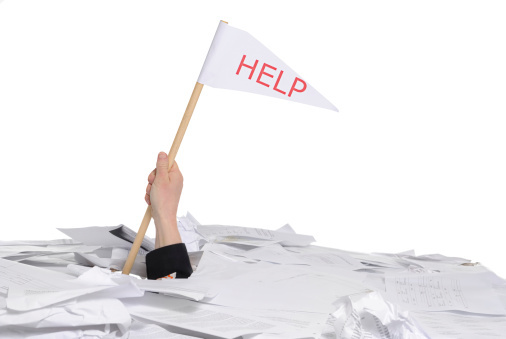 Use existing employee communication and education vehicles to help them understand old policies in a new context. For example: An existing harassment policy dictates employees can't harass colleagues. The workplace doesn't also need a social media policy telling employees to not harass colleagues on social media. You just need to say, "Hey, employees! Just as our harassment policy says that you're not allowed to be dicks to each other in real life, same goes on this newfangled 'Facebook at Work' thingie." You might want to pretty up the language a bit, but you get my point. If you're trying to govern employee behaviour on social media, your first step should be to examine the existing policies that govern their behaviour, make sure those rules work in a Web 2.0 world, and then come up with communication and education strategies to help employees to not break the rules on the new tools. I worked with EPCOR's ethics commissioner to include a social media example on the biennial ethics review for all employees. For Catholic Social Services, I worked with them to customize the oft-used "THINK" acronym. We then made monitor/smartphone stickers and post-it notes to help all staff and volunteers make better decisions about what to post and share. No new policies, just new communication and education tools, and some nice swag for staff. So, do you need a social media policy? If you already have policies, no. And, if you don't have any policies about employee conduct, it's unlikely that a social media policy will solve your employee governance problems. Better to draft a conduct policy instead. 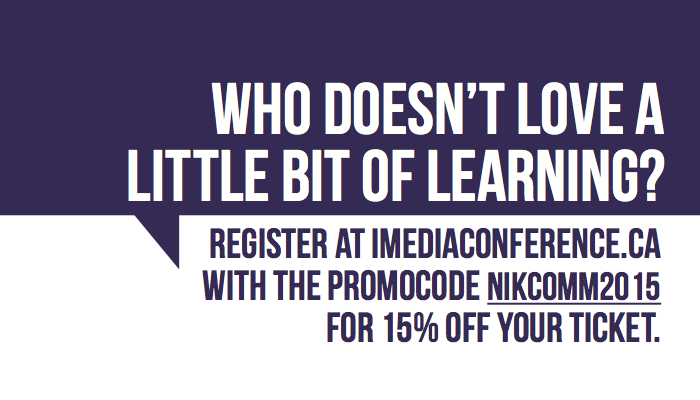 Register at imediaconference.ca with promo code "nikcomm2015" for 15% off your ticket. If you'd like to learn more about social media governance, attend one or both of my workshops at the upcoming iMedia Conference on March 15. Save 15% with my discount code, too!